Nearly half of Massachusetts adults aged 35+ have diabetes, heart disease, stroke, asthma, or are obese. Most adults spend many waking hours at work making workplaces prime locations to enable and support healthy behaviors. 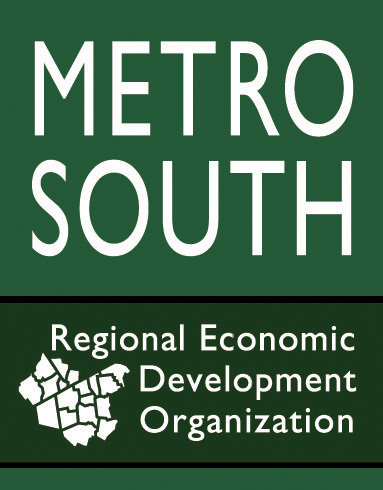 The Metro South Chamber of Commerce has joined a cohort of Massachusetts employers dedicated to providing wellness education and support to employees to encourage healthy, happy and productive workers and work sites. Metro South Wellness Works kicked off its programming in March with a Healthy Lunch and Learn featuring Thulani DeMarsay of New Pathways Coaching and Training. Thulani spoke about the relationship between human energy, stress reduction, proper nutrition and exercise physiology in performance and employee engagement (see tips from her presentation below). Additional Lunch and Learns are currently being schedule and will be offered periodically. 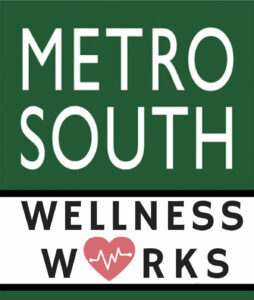 Another component of Metro South Wellness Works kicking off later this spring will be scheduled bi-weekly afternoon group walks in downtown Brockton, in partnership with the Brockton Police Department. Look for more information on this and how you can participate in upcoming Action Report newsletters. 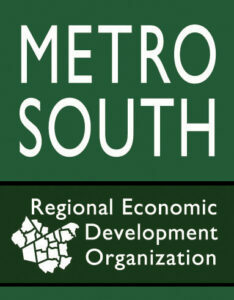 For more information on Metro South Wellness Works, please contact Alison van Dam, avandam@metrosouthchamber.com. Courtesy of Thulani DeMarsay & Karen Eisenbraun. For more information, email: td@thulani.com. Luis Ramos, Chamber Intern, Christopher Cooney, Chamber CEO and President, Thulani DeMarsay, New Pathways Coaching and Training, Murray Vetstein, Source4, Howard Wright, Wright Technology Group, Bob Malley, Brockton Parking Authority, Sherry Zou, Brockton Redevelopment Authority, Alison Van Dam, Metro South Chamber, and Michelle Chisholm, Brockton Redevelopment Authority, gathered among others to take part in the Metro South Chamber of Commerce’s Wellness Initiative. 1) Eat a Healthy Lunch- To avoid the afternoon lull, increase your protein. You should also focus on eating complex carbohydrates, such as whole grains, which take longer to digest and don’t lead to an energy crash. Finally, eat less. A large meal takes more effort to digest, which results in less oxygen for energy, leading to brain fog, lack of focus, and diminished creativity. 2) Superfood Snacks – Superfoods are good snacks to reach for in the mid-afternoon are those that will not deplete your energy, but will boost it. These include raw almonds, raw cashes, cacoa nips, cashews, goji berries, blueberries and walnuts. 3) Keep moving – One of the best ways to reduce stress, and condition yourself to handle stress better, is to stay in good physical shape. After eating, it is a good idea to do some light exercise, especially if your work life is sedentary. The standard rule is to engage in at least 30 minutes of cardiovascular exercise per day. 4) Mental Health Break – When you’re busy and feeling overwhelmed, it’s tempting to work through lunch and avoid taking breaks, but this type of non-stop work only leads to increased stress and exhaustion. Some tips include looking away from your computer screen for a couple of minutes, taking a two minute break to stand up and stretch, walking around the block, or practicing deep breathing exercises.